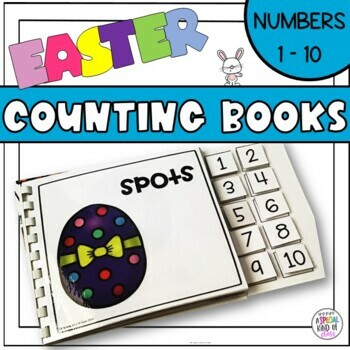 These Easter adapted counting books are designed especially with the special education (SPED) student in mind, including those with autism and those with little verbal skills. 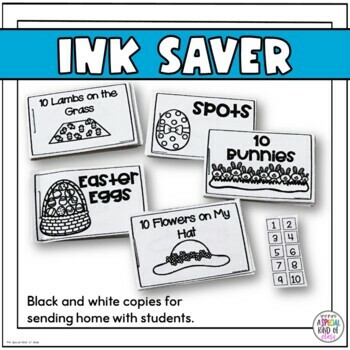 Adaptive books improve expressive and receptive language skills while allowing children with poor fine motor and attention skills to participate. 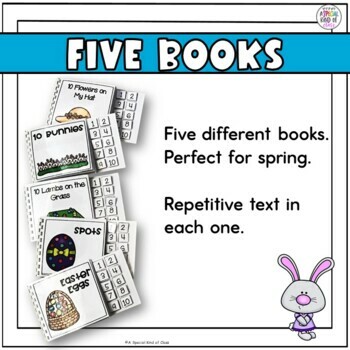 Adapted books also allow children with no fine motor skills to participate in the reading process by using eye gaze. 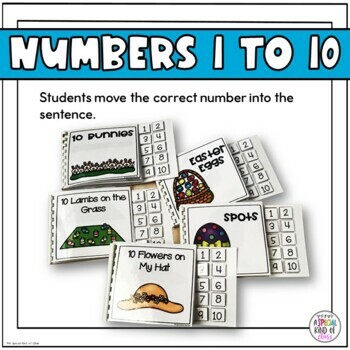 These books work on sentence making skills and reading by having the child select the correct number to make the sentence on each page.